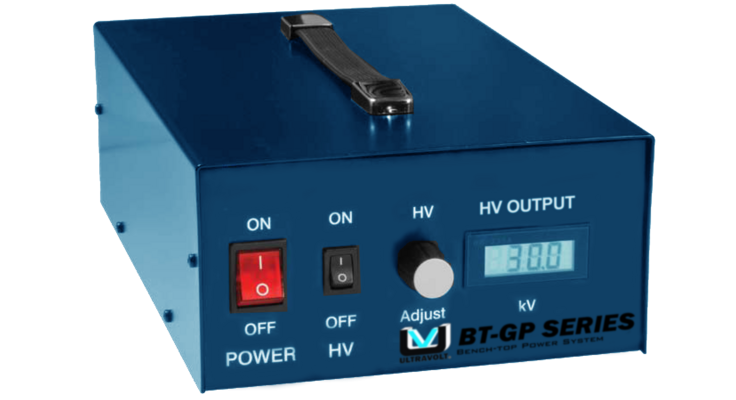 UltraVolt announced the extension of the BT Series line to include a new, general purpose bench-top high-voltage power system - the BT-GP Series. It continues in that tradition in a lower cost configuration for more cost conscious high-voltage applications in the laboratory, test department, or installed in process equipment. The units are apt for applications such as electrostatics, air purification, process fluid cleansing, hi pot testing, and laboratory research. Features include adjustable output from 0 to 100% via a front panel control for setting high-voltage output, along with an output meter and protection from output overload, arcing, and short circuits. Output voltage is up to 30kV at 0 to 30W of output power. Input voltage is universal 90-260VAC or 24VDC.